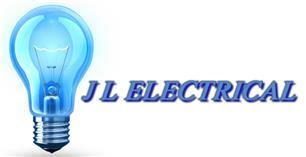 J L Electrical - Electrician based in Herne Bay, Kent. We are a locally based electrical company providing services to domestic and commercial customers all around Kent. With over 20 years experience in the industry we can offer you an excellent service and a great price. All of our work is covered by STROMA certification and part P registration. We offer a full range of services from extra points to brand new installations. Free telephone advice and 24hour call out service is available. We pride ourselves in the number of repeat customers we have and look forward to gaining new customers everyday. Full and Partial Re wires. New and existing interior and exterior lighting replacement. Conditioning Reports / Landlords cert. Main fuse board upgrades / replacement. If you require any other services please do not hesitate to contact us.